As the centre of excellence for professional development to the insurance industry, it was critical that the identity and all brand communications reflected this standing. A key element of the identity which was missing was its heritage. This is a strong point of distinction vis-a-vis competitor offerings. Working with the senior management, we made some fundamental decisions on how the brand should be structured, in particular, better aligning the local institutes to the master brand, shortening the name to The Insurance Institute, working on bringing clarity to their positioning, Your Future, Insured and agreeing to bring back their old crest which had been jettisoned. 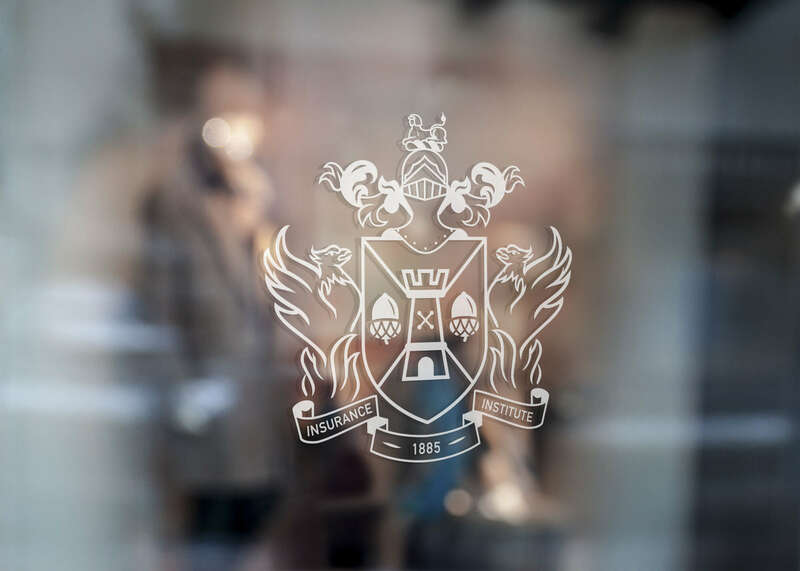 The crest works throughout all the Institute’s educational accreditations keeping a strong visual consistency to the full spectrum of products and services. A refined contemporary colour palette and a new typographic treatment all combine to deliver an identity which reflects an organisation that acknowledges it’s rich heritage while building on a strong ambition for the future. Brand Guidelines were created for application across all forms of print, digital and environment and we have worked with their marketing team on the design and production of keys pieces like the yearly prospectus and membership handbook. The rebrand has helped cement and secure Insurance Institute's position as the authoritative voice of insurance in Ireland when it comes to professional development.